The first of a few popular feature requests has arrived on Discord. 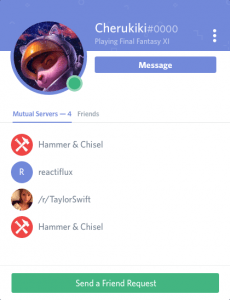 You can now add anyone across Discord to your friends list! No more having to invite someone to a server first and then sending them a private message to get a hold of them. This is only the first phase of the Friends List feature, with video calling, group calls, and screen sharing on the horizon. You’ll notice a few changes to your Discord interface. In the top left corner it’ll display how many of your friends are online. Clicking this will display a “Friends” tab. This window allows you add friends, see who’s online, manage requests, and more. You can also block annoying users now too. 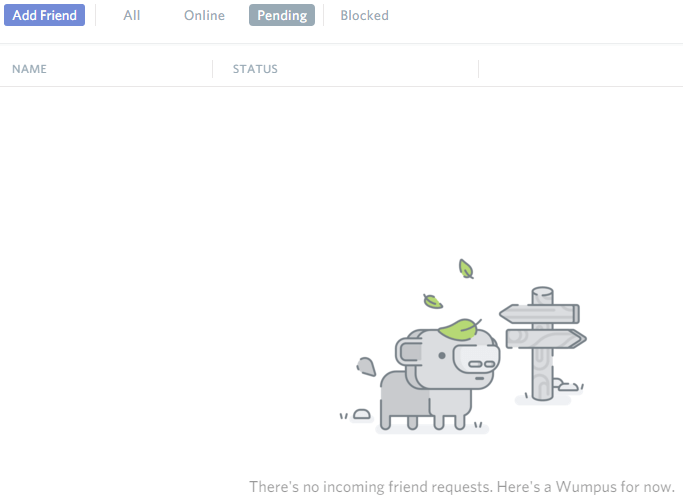 To set who can send you friend requests, go into your Settings -> Friends tab. There’s a couple of different ways you can send friend requests on Discord. Get their username and #number. In the bottom left corner where you normally manage your account settings, you’ll notice a number beneath your username. This is your identifier. So, let’s say my friend’s username is Disguy and his identifier is #1111. I can click “Add Friend” and enter Disguy#1111 exactly like that to send a request. If enabled in their settings, you can find your friend from their registered e-mail address and typing it into the friend request box shown above. Clicking on anyone’s name in a server pops up a small box. Click on Profile. You can send them a friend request in this window. You can also block a user here by clicking the three vertical dots and selecting “Block”. Messages from blocked users won’t be shown in public channels either. You can hang out in our Discord and talk with other streamers!